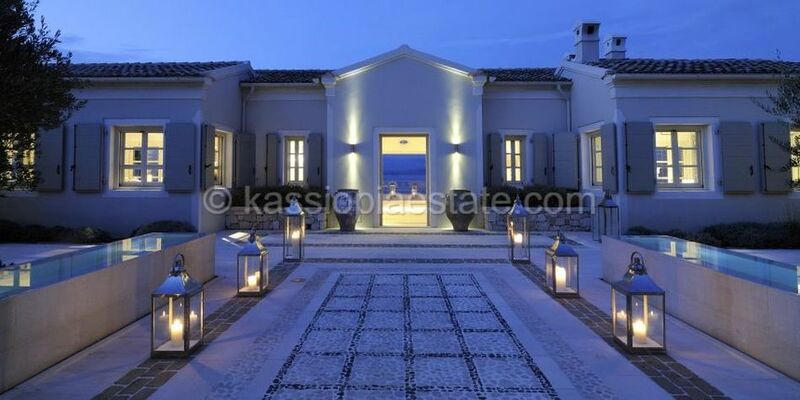 This luxury villa in north east Corfu is located on a beautiful, privately owned five acre headland, one of the island's jewels and home to The Kassiopia Estate. With its spectacular views, beautiful landscaped grounds surrounded by sea and sky, the Estate provides the perfect setting for a truly unforgettable experience. It consists of two stunning properties, the elegant and utterly luxurious Cassiopeia House, with its sensational pool and entertaining area and the enchanting, incredibly comfortable and more intimate Atolikos House. Designed and built by a Norman Foster trained architect and built to the highest specifications by the owner, the exquisite Cassiopeia and Atolikos houses combine a strong Venetian influence complementing their traditional Corfiot features with the ultimate in contemporary comfort. Both of these luxury villas in north east Corfu offer privacy, luxurious accommodation and stunning pool areas with much sought after sea access. A network of pathways weaves their way through the estate’s beautiful indigenous flora and woodland to a private jetty, a small pebble beach and Atolikos point where guests can swim from sun drenched rocks. Cobalt blue seas and the dramatic Albanian mountains provide a sublime backdrop for the Estate. The Kassiopia Estate is a home like no other – a fabulous venue to totally relax or to host a celebration, a wedding party or a gathering of friends and family. Indeed it would be difficult to imagine a more perfect lifestyle experience. This truly idyllic hideaway offers guests complete peace and tranquillity but is only a short walk from the village and harbour of Kassiopi. 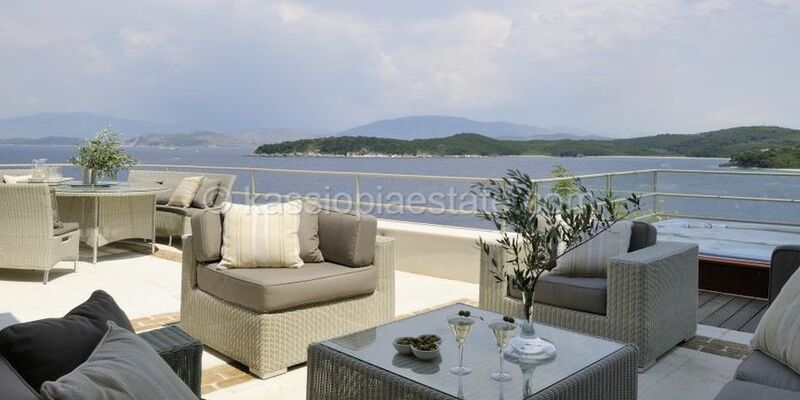 Cassiopeia House and Atolikos House can be taken together for larger parties or rented separately. Both houses enjoy breathtaking positions and views, being perfectly sited to be enjoyed together or independently - close enough for joint parties to share time and have the benefit of space, but cleverly located so that separate parties can enjoy tranquillity and privacy. Each house has its own pathway down to the sea with beautiful sea swimming and a shared jetty. This luxury villa in north east Corfu is a rare find and the perfect retreat. Two quite, quite exceptional properties with every possible comfort, but in the most understated way. Those who are lucky enough to stay there will feel truly privileged.